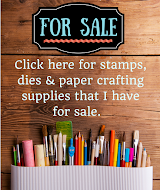 This first card uses a new stamp set in a series of stamps that Lil' Inker Designs has released in a similar style. This new addition, called Have a Nice Day, is another beautiful image that makes producing quick & simple cards a breeze. I started with the background of this card using the Quilted Swirl Stitched Pattern die on white cardstock. I then die cut the banner from the new One Love stamp set and cut it in half to place underneath the main image panel. 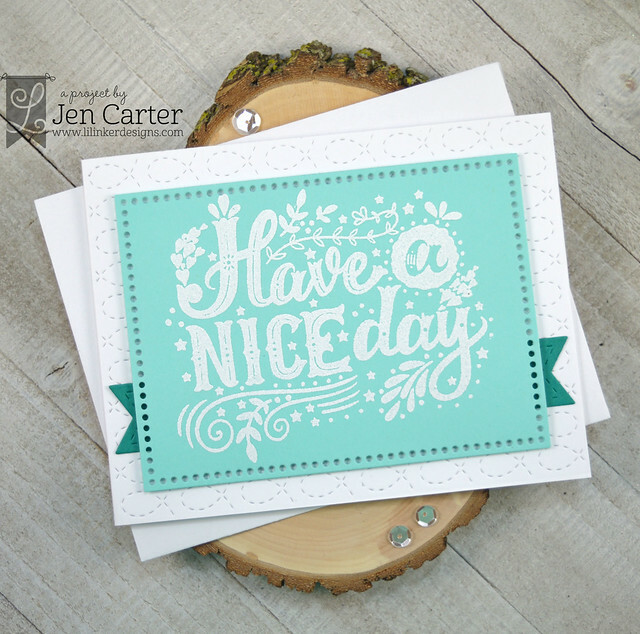 I embossed the Have a Nice Day stamp in white and then die cut the border with the Dual Dotted Rectangle dies. If you remember last year Lil' Inker Designs released a wonderful graduation stamp set called Grad Class shown below. This year there is a Grad Class 2018 Supplement stamp set and the best part is that it is retailing for a mere $5! 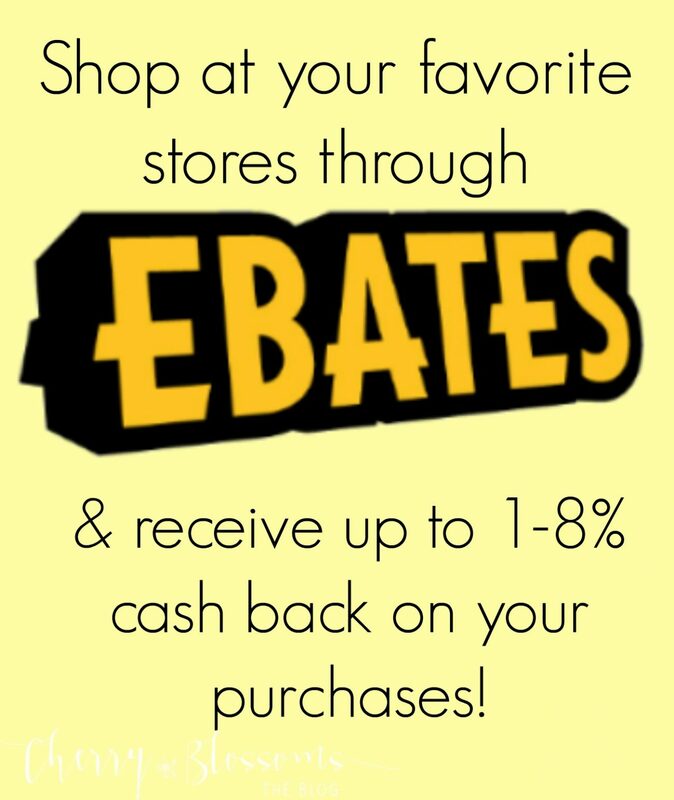 If you didn't purchase the first complete set, it is on sale for $10 and so with the supplement you are only paying for the price of the original set but getting a full set plus the supplement. Our school colors are orange & black so usually all of the graduation cards I create match that theme. This year we have quite a few graduations to attend so this updated set comes at the perfect time. 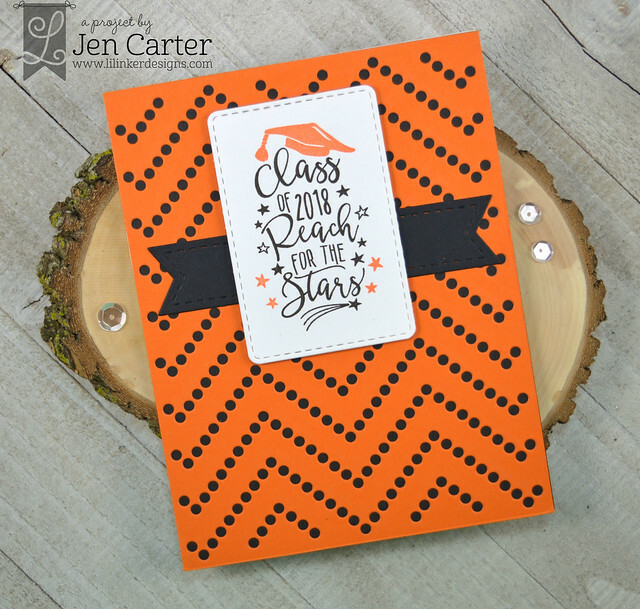 I started this card by die cutting the orange cardstock with the Cover Up Die Dotted Chevrons. If you would like to see a video on an easy and quick way to get out of those little dots easily check out my Youtube video here. I die cut the black banner with the One Love die set and the image panel with the Shaker Tag die set. 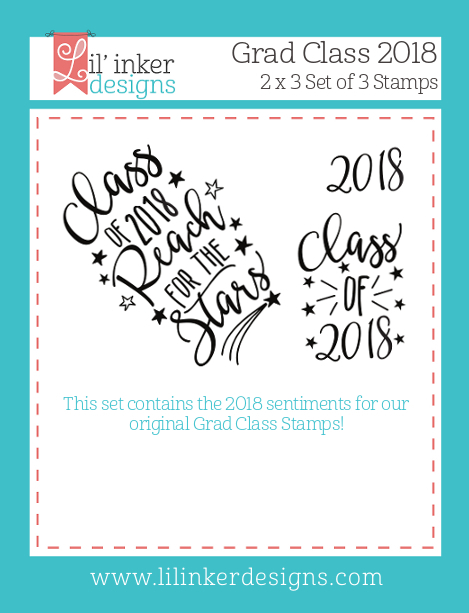 I stamped the sentiment with the Grad Class 2018 Supplement stamp set and the graduation hat and the little orange stars with the original Grad Class stamp set. I adhered that panel with dimensional tape. All of the new products are now available in the Lil' Inker Designs store. 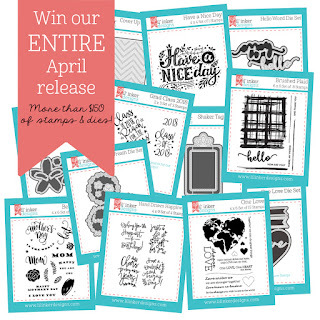 Be sure to comment on my blog for your chance to win the entire April release from Lil' Inker Designs! Thanks for visiting my blog today! All of the Lil' Inker products that I've used (and more!) are available to purchase right now in the Lil' Inker Designs store! Love the cards. Our school colors are orange and black so the graduation card would be perfect for our graduates. Thank you for the chance to win. I adore the first card. The color is so appealing. My daughter would have loved the second card at her grad. She loves orange! It really makes the card stand out! Wonderful way to end the countdown, Thanks! Great cards... that dotted chevron die is pretty cool and versatile. of the card you used on the first one; so pretty! Great cards. Love your beautiful cards and color choices too Jen. Great cards Jen - love the beautiful color and sentiment on the first one and the grad card is terrific! TFS! Fabulous cards, love the colors you chose! 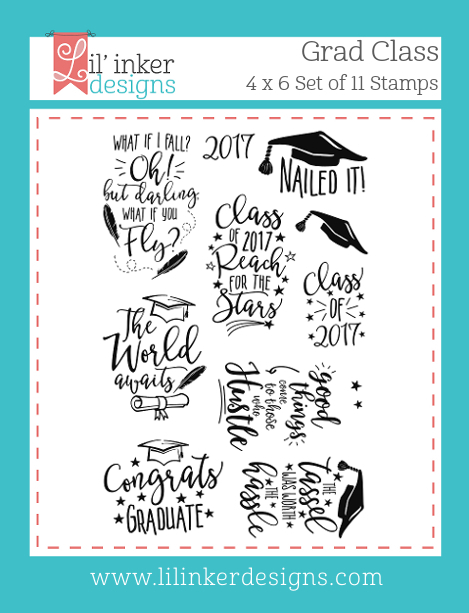 Love your grad card! Our school colors are orange and black as well and this will be a perfect design thanks for sharing! Such a simple design on the first card but the colors make the greeting pop off the page. I really like the chevron cover plate too, fun grad card. Wow - fabulous cards and love the background dies!! Beautiful cards! 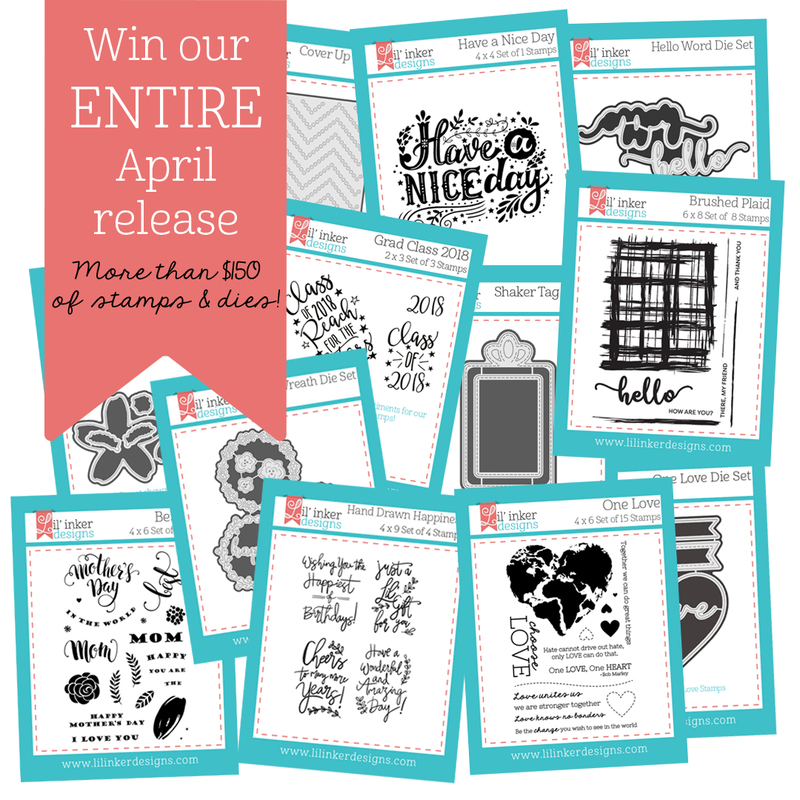 Love the sentiment stamps and the awesome Dotted Chevron Cover Up Die! Very pretty with the white embossing on the first card and I like the bold colors on the graduation card. So sweet! Love this release! The white embossing looks wonderfuL!!!!!!!!!!!!!!!!!!!!!!!!! 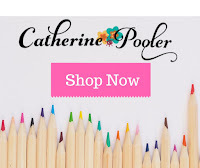 The huge stamp in your first card really makes a quick, easy & super striking statement. Love it! The grad card is awesome! Love that Dotted Chevron so much!! Wonderfully CAS cards! 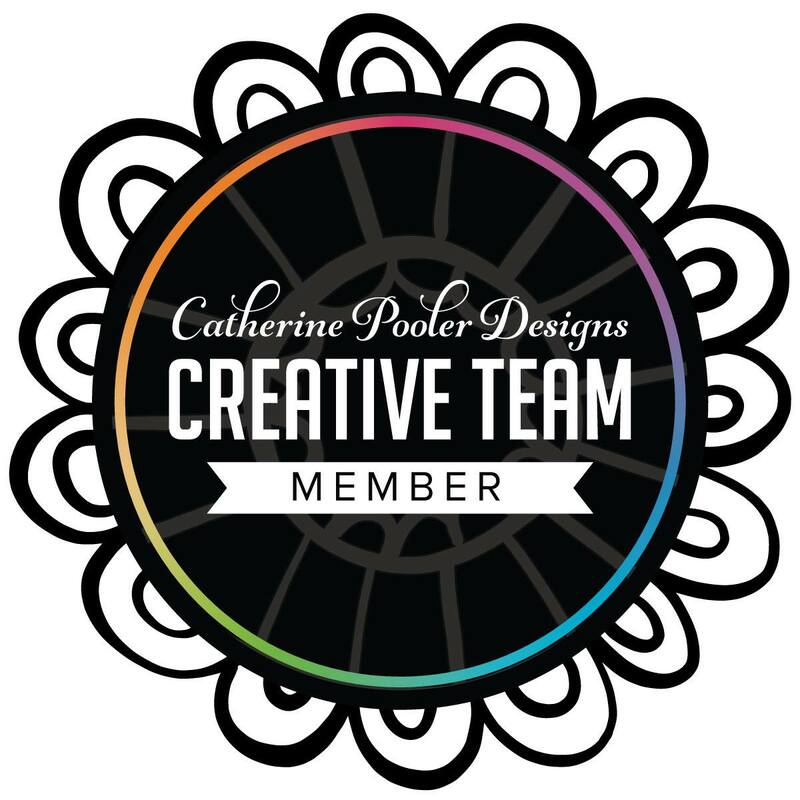 You so perfectly selected just the right elements to really make your designs simple but result in WOW cards. Very beautiful cards. The bold colors of the second card are really great! Beautiful cards!!! Design and colors are great!!! I love the orange and black. Love your design with the dotted chevron on the first card. The orange and black make for a cool graduation card! Thanks for sharing the graduation cards, Those are difficult for me. Beautiful colors chosen for both your cards. Thanks for all the inspiration over the last few days. I love your choice of colours ! Beautiful cards ! !